Other Terms: The bonus deposit can only be used for trading Gold only (Silver is not included). 1. To enjoy the "US$100 New Client Welcome Bonus", the client must apply and successfully open a real Bullion trading account with GMO CLICK Bullion ("New Account") during the promotion period (18 June, 2014 to 31 December, 2014), and fulfill all conditions stated below. 4. the New Account client is not an employee of GMO CLICK Bullion or an immediate family member of the employees; and the client does not hold any real account with GMO CLICK Bullion within a period of 12 months preceding the account opening date. 6. After the new account is opened, the account shall be funded with US$100. 10. there must be sufficient available funds in the trading account at the time of withdrawal. 11. If the client fails to trade the required amounts within the promotion period, the full or remaining amount of the bonus will be cancelled and will be removed from the account after the promotion ends. 12. The client can deposit funds to the trading account anytime. This promotion will not affect the withdrawal and deposit of the aforementioned funds and profits. 13. Eligible clients can enjoy both New Account Bonus and Referral Reward. The calculation of the two rewards is stand alone. For example, a client has opened a New Account (New Account Bonus of US$100) and referred a friend to open a New Account (Referral Reward of US$100). To withdraw the New Account Bonus, the client has to execute 1,000 lots (1,000 ounces) on Gold after receiving the bonus in the account. 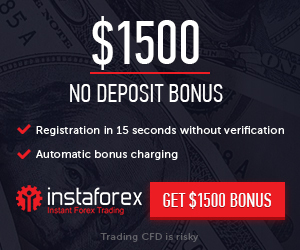 To withdraw the Referral Reward, the client has to execute another 1,000 lots (1,000 ounces) on Gold after receiving the reward in the account. Any trades executed prior to the receipt of the bonus or reward shall not be taken into consideration. 14. Unless otherwise stated, this promotion cannot be used in conjunction with any other Promotion offered by GMO CLICK Bullion. 15. The bonus deposit can only be used for trading Gold only (Silver is not included). 17. GMO CLICK Bullion may accept or reject any application in its sole and absolute discretion. 18. GMO CLICK Bullion reserves the right, at our sole discretion, to change these Terms and Conditions and/or modify, discontinue or terminate this Promotion at any time without prior notice. In the event of any dispute, the decision of GMO CLICK Bullion shall be final and conclusive.